Our revitalizing Delicate Zone Mineral Serum is filled with anti-aging plant stem cells as well as anti-oxidants including restorative Nano Q-10, to diminish fine lines and wrinkles around the delicate areas of the eyes, neck and décolleté for a refreshed, youthful complexion. 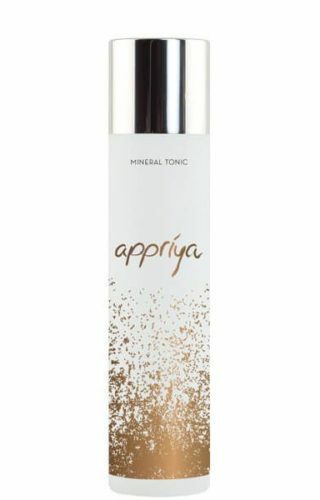 Soften the skin, enhance moisture absorption and encourage skin renewal with Appriya’s Delicate Zone Mineral Serum. Gently and evenly brush on one pump of our Delicate Zone Mineral Serum around the eyes, neck and décolleté, applying light pressure with your ring finger. For best results apply Appriya Delicate Zone Mineral Serum on top of Appriya Mineral Complex Serum or after cleansing and toning. Finish with protective Appriya Comprehensive Mineral Day & Night Cream. Smooths away wrinkles and diminishes collagen breakdown for smoother, firmer skin. Reduces the appearance of wrinkles and improves skin vitality. Reduces eye wrinkles and increases skin nutrients.